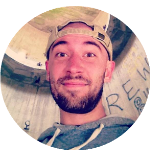 Customer story written by Andrew Folts, owner of Sherpa Design Co.
Hey there. 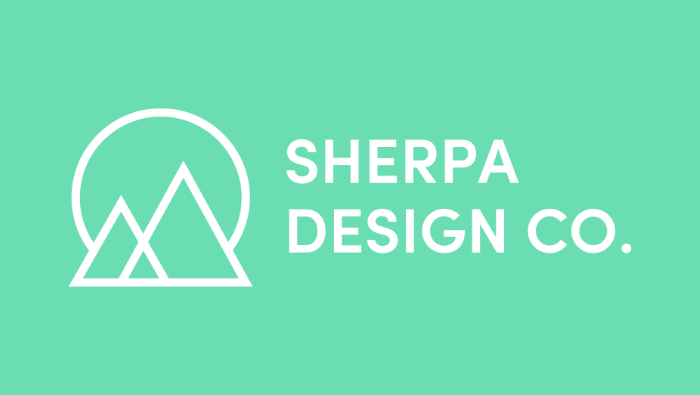 I’m Andrew Folts, a freelance web designer, developer, and owner of Sherpa Design Co. I collaborate with small businesses to help them share their unique products, services, and stories through Hard-Working Websites™. I use ActiveCollab to plan and organize literally everything—from complex custom Wordpress themes to simple website builder projects, and even my own professional development. Clients often have a specific platform or technology already in mind when they contact me, but I’ve learned that it’s always best to start with a clean slate. I kick off every project with an in-depth information gathering session. This allows us to define the main challenge and agree on an effective solution. From there, I’ll add a new project template, and make tweaks (if need be), so my client can get a general sense of how we’re going to proceed and where the major milestones will be. Whenever I have a call or receive any communications from a client, I take notes directly in ActiveCollab. If I’m in a hurry, I’ll do this in a high-priority task with a due date, which reminds me to parse out my notes into individual lists and/or tasks. After the project ends, I’ll ask my client if there was anything about the process that they would improve. Then, I’ll revisit the “Debrief” task list, and copy each task to a list under my own company. For example, “Ask clients if they need a ® or ™ mark on their logo,” will get moved to “Project Planning.” This is SUPER important, because it prevents me from making the same mistakes in my next project. I actually started using ActiveCollab in the middle of a large website project that had gotten out of hand because of the sheer number of revisions my client was requesting. At the time, I was using a combination of Word documents, emails, and my brain to keep track of everything, which (SPOILER ALERT!) was a nightmare, not a viable project management system. ActiveCollab truly saved the day, and I was honestly blown away by how easily it integrated into my process. Being able to quickly add tasks with specific due dates, assignees, status labels, and attached files kept me much more organized and proactive. In my first month alone, I’ve cut out the 3-4 double-checks and email searches I would normally do to track a specific group of tasks—reducing the time I spend on project management by 75%, at the very least. What’s even more important to me, though, is the peace of mind ActiveCollab delivers. I’m less stressed and more confident about telling my clients that specific tasks are “done,” because I can see they have been. The internet can be a really intimidating place, and a lot of small businesses get lost in the mix. I’m constantly inspired by the unique products, services, and stories these businesses have to offer, and I love helping to share them through smart code and user-friendly design. Because I’m a solo freelancer, I wear many hats, and the ability to portion my day into completely different skill sets is endlessly rewarding. With ActiveCollab, I can constantly gain new skills and improve existing ones without ever feeling overwhelmed.